Light. Light. It's all about the light, the beauty of it, the quality of it. We photographers talk endlessly about it. Where is it? What's it doing? How can I use it to get the best photographs, etc etc etc! It's endless. But soooo very worth it. I’m a light obsessive. I look for light everywhere I go, I bore my kids endlessly with telling them to look at the light on the tree tops as we’re drive along, or the sunset, or dappled light through the trees, or make them stand in the luminous window light so I can take a picture. They yawn, looked bored. I squeal and get excited! I’m what you call a natural light photographer. I love using the light around me, preferably sunlight, but also ambient light (think fairy lights and candles). I will however crack out the flash for evening dancing and some creative night shots, just for fun! And yes, there are times during the wedding day when we just can’t control the light. There are always some difficult situations. Some registry offices can be a bit on the dark side, some barns can be “challenging” to say the least, but as professionals we do our upmost to get the very best out of each and every situation. We find the interesting angles, use things that reflect light, we use ambient light or controlled light from flash, both on and off camera. Of course it’s not something you have to worry about on your wedding day, but it is something you might want to try to understand when arranging your wedding breakfast room, or choosing your registry office, for example. And you know the best thing about light is that it’s FREE. Choose the room with the biggest window. And have your make up done near it – but with enough space for me to walk around you. Window light is luminous and skin tones glow. 2. Think about the space you are getting married in? Wherever you choose to have the official part of your wedding day, you generally can’t control the light. It happens where it happens! And generally most photographers aren’t allowed to use flash at these times either – BUT we do have super doper cameras that can go up to very high ISOs, so if the room is dark we can cope. 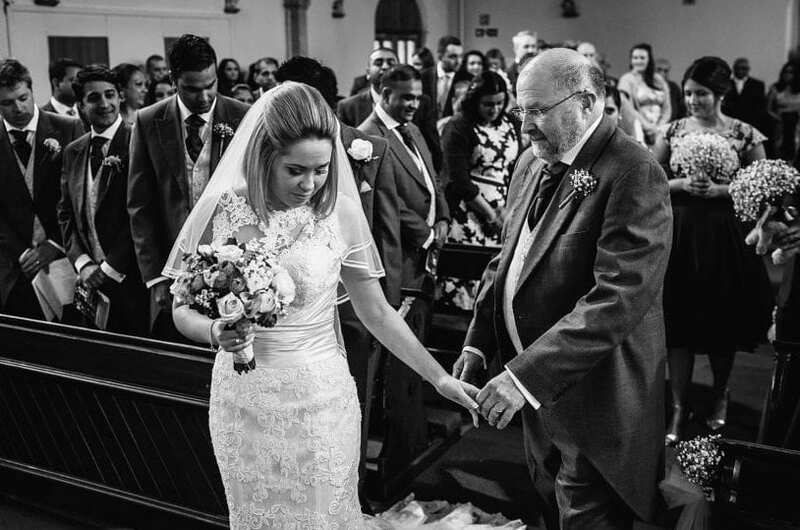 The one thing I would stay about ceremony rooms is that if you do have a choice about where you can stand try and make sure that you are facing the light – rather than having your back to it. Window light is beautiful and you’ll get far better pictures if the light is falling onto you – rather than behind you. I love them! But if you are getting married in summer maybe think about having the ceremony later in the day – maybe 4 or even 5pm. The light will be softer and you’ll be so much cooler! Or if you do want a earlier wedding, maybe think about having the ceremony in the shade where it’s cooler and the light is more even. Coloured uplighters are not your friend! They can add a nasty overpowered tinge of *pink/purple/blue etc to the whole proceedings or worse they can make it all look like a scene from The Blair Witch project! Instead, opt for pretty, twinkly candles, and fairy lights – these add a much more subtle light to the ambience. My favourite time of day for your portrait session is Golden Hour. Often elusive but oh-so-beautiful. Your skin is luminous, and the light is soft and subtle. 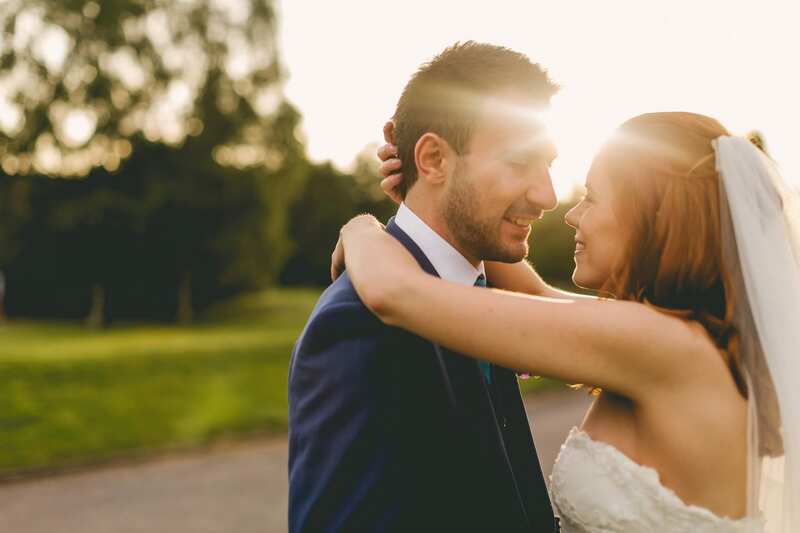 Of course, it all depends what time of year you are getting married – but normally the hour before sunset is bang on… We’ll keep it simple and go for a walk around your venue or find a local field or pretty spot nearby. As the day draws into evening and the DJ arrives, please can you them to keep their crazy coloured lights to a minimum – particularly during the first dance. No one wants to look like they have measles! But only for the First Dance – after that – anything goes! Once the dancing is in full swing, and when you are happy to take a break, we’ll head outside for 10 minutes for some night time portraits of you and the venue. We can add smoke bombs, sparklers, or some off camera flash to make a WOW photo that you’ll remember forever. And please remember – these are just tips. It’s your wedding and you can do whatever you please… I’m just trying to help you see things from my point of view and what works best for photos. I hope it helps!